Patients and providers can evaluate lesions within seconds by running the tip of the device over their skin, and then link the results to a user-friendly smartphone app. Early detection can have drastic impacts on survival and overall outcomes for patients with melanoma. Realizing this – and the fact that it can take a while to an with a dermatologist – researchers at DermaSensor are developing a startup product that allows both health care professionals and consumers to quickly and effectively check their skin lesions that might be cancerous. 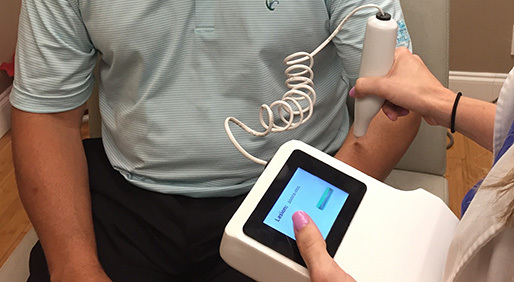 “Health care professionals will be able to use this cutting-edge device to better assess skin lesions to determine whether patients need additional clinical care and reduce unnecessary treatment,” said Cody Simmons, DermaSensor’s CEO in an interview with CURE. The product is a handheld pen-shaped device that uses a method called elastic scattering spectroscopy, which is currently a novel method used to detect metastatic breast cancer in excised sentinel lymph nodes. Patients and providers can evaluate lesions within seconds by running the tip of the device over their skin, and then link the devise to a user-friendly smartphone app. DermaSensor, which is based in Miami, has been developing the product since 2011 through clinical studies and collaborations with dermatologists. Currently, it has three issued patents on its technology. According to the American Cancer Society, more than 87,000 people in the United States will be diagnosed with melanoma in 2017. More than 9,700 of those people are expected to die. While not yet commercially available in the US, the product will soon undergo its FDA pivotal study. To date, the startup has raise $4.45 million from investors, many from South Florida and New York who come from both medical and financial backgrounds. The company recently participated in Health 2.0’s startup pitch competition and named winner in the consumer solution category. “DermaSensor’s potential to decrease the cost of care for patients with skin cancer while improving care quality and the patient experience distinguished the company in the pitch competition,” according to a press release from DermaSensor about the event. Product developers are already looking toward the future for their product. “DermaSensor ultimately hopes to develop a solution that enables consumers to evaluate themselves for skin cancer at home,” Simmons said.